Up to 60% off when you take an Extra 25% off Sale items at shopDisney! Code: EXTRA25. 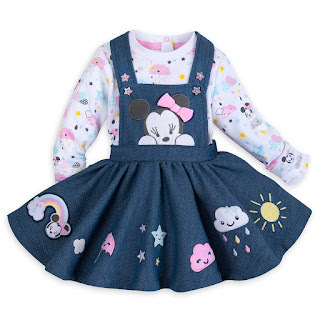 This Minnie Mouse Jumper Set for Baby is SO CUTE! Now ONLY $11.24 (Retail $26.95). Valid 3/6/18-3/8/18. Some Restrictions Apply. 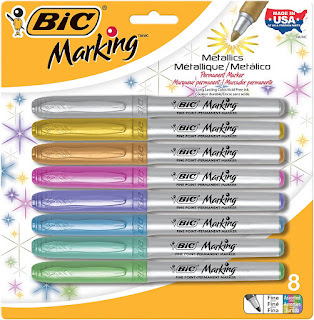 Check out these BIC Marking Permanent Marker, Metallic, Fine Point, Assorted Colors, 8-Count for ONLY $6.29 (Retail $10.99)! Add a sparkling touch to your adult coloring pages, doodles, and art projects with BIC Marking Metallic Permanent Markers. These ACMI-approved and non-toxic permanent markers feature low-odor, acid-free inks that deliver metallic sparkling color on dark or light surfaces. Made in the USA of US and foreign parts, each marker comes equipped with a fine point ideal for detail work and a comfortable rubber grip. This pack of eight metallic markers includes an assortment of bright and distinctive colors. 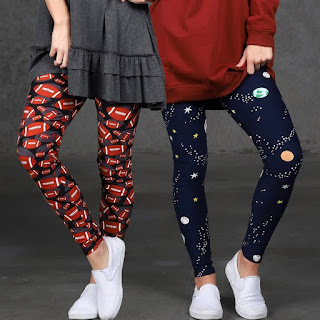 Head over to get a pair of So Soft Leggings for ONLY $8.99 (Retail $19.99)! Check out this Diaper Bag Baby Care Backpack - Multi-Function Travel for $25 (Retail $33.34) with code IRIAYV34 at checkout. ❤ Stylish &amp; Multi Function: Fashional backpack diaper bag, it reliably holds all your essential items for baby care (like diapers, food, and extra clothing) - freeing up your hands,You can even strap it to your stroller! ❤ High Quality Material &amp; Waterproof: Our diaper backpack made of Nylon garment fabric with PU back coating(stronger than polyester,higher strength, higher wear resistance,good resistance to deformation), non-fraying stitching, and strong zippers means you'll have a bag that lasts for years! ❤ Large Capacity Diaper Bag: 11.4" x 18.1"x 6.5" (L x H x W). VOLUME: 22L. Only 1.88 pounds. Roomy enough for carrying all your baby essentials. Insulated Bottle Pocket is included. A great baby shower gift! ❤ Comfortable Carrying: Ergonomically "S" curved padded adjustable shoulder straps to lessen the strss on your shoulder, along with multi panel airflow back design to make it more lightweight and comfortable! ❤ SATISFACTION GUARANTEE: Please tell us if you are not satisfied with our products, We will give you a full refund and try our best to improve our products and service! Today ONLY (3/6) - this Men's New Balance Running Shoe is $49.99 (Retail $99.99). From trail run to errand run, the men's Fresh Foam Gobi continues to provide inspired performance in a cool and casual package for its second generation. The sneaker's AT TREAD outsole combines both trail and running lug designs to allow for easy transitions between on- and off-road. A Fresh Foam midsole delivers unbeatably plush, lightweight cushioning, so your feet are ready to hit the trail whenever you are. This men's trail running shoe features a reinforced toe tip and a removable footbed to help provide additional support and protection. Head over to get one of these Snap Button Cardigans for ONLY $12.99 (Retail $24.99)! These Snap Button Cardigans are a must have for any season! They're casual yet fun and trendy! They pair perfectly with any outfit. 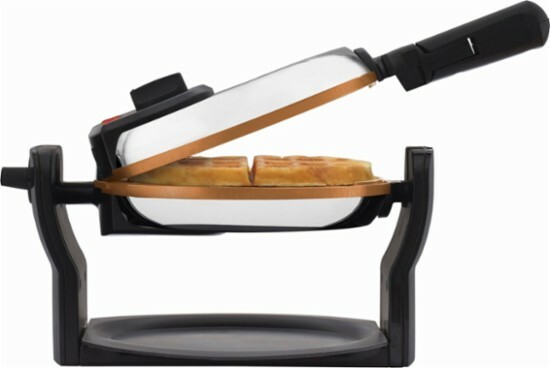 Right now this Bella - Belgian Flip Waffle Maker - Black/silver is ONLY $19.99 (Retail $39.99). Today ONLY (3/6) - check out this Shark ION ROBOT 750 Vacuum with Wi-Fi Connectivity + Voice Control, Works with Amazon Alexa for $259.99 (Retail $349.99). It's time to start packing up and hauling all the kids stuff to and from the sports fields! These are almost SOLD OUT - so HURRY! Grab this Ozark Trail Folding Wagon $44.88 (Retail $49.87)! 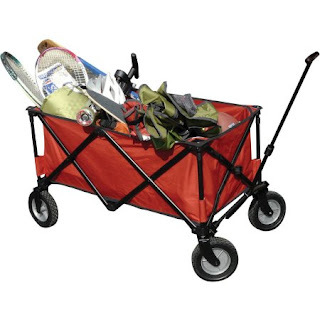 The Ozark Trail Folding Wagon makes it easy to take all your favorite camping essentials along with you. It features oversized rubber wheels and a handle. When not in use, simply fold the frame down for storage. HURRY! This 2-Pack of Soft Egg Slime is now ONLY $2.20 Shipped! •SUPER FUN SLIME WITH FRUIT SLICES that is incredibly satisfying to play with - squeeze it, twist it, smash it, stretch it slowly or create arts with it. Just use your imagination freely with Rihachan slime. The perfect stress relief toys. •EASY TO PRESERVE, RECYCLE USE: After playing,put the slime back into egg container,can maintain fluffy slime softness.slime easy and Air dry, do not baked.Soak in hot water at 40 degrees Celsius can make the slime soft. •PERFECT GIFTS: Egg slime featured environmentally friendly raw materials,natural resin production,looks like jelly. Great gifts for kids, girls, boys, easter basket stuffers, birthday gifts, school classroom rewards, carnival prizes, pinata, stocking stuffers, goodie bags. completely safe for children. can not be eaten.